Polycarbonate pipes, graffiti spray paint, shock cord, timber, fixings and dice. Struts of three different sizes were used to construct a space-frame. The strut sizes were Golden Mean multiples of each other. Each time a strut was to be added to the structure, a dice was thrown to determine which of the three sizes to use next. 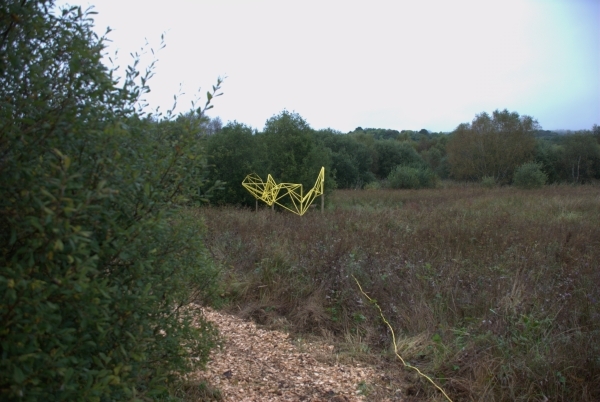 The sculpture was finished when all the available struts had been used. This piece was constructed for Gracelands, a one day contemporary art event curated by Vaari Claffey. 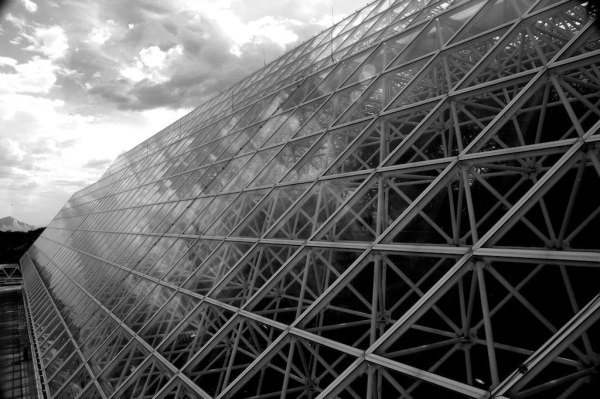 A large space frame (Biosphere 2, Arizona).